Burn phone videos to DVD/ISO/DVD Folder/Blu-ray DVD on Windows 10/8/7. Edit videos before phone videos to DVD conversion. Nowadays, more and more people like to record their daily life by smart phones as the present-day smartphone feature high-end camera that not only captures the bright and lively picture but also good quality video as well. So if you have short clips and videos of our special moments on your phone, burn phone videos to DVD and enjoy watching with your family. In addition to playback, you can also burn your phone videos to DVD for backup purpose. Your videos will be safe on disc and there will be some additional space on your handset. The best solution to convert phone videos to DVD is discussed below. 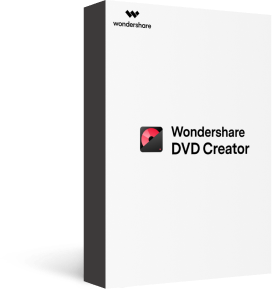 For all your DVD burning needs in the most professional manner, we recommend Wondershare DVD Creator. This expert program supports Windows10/8/7/Vista/XP/2003 and Mac system as well. Almost all types of file formats are supported by the software including HD, SD and others. 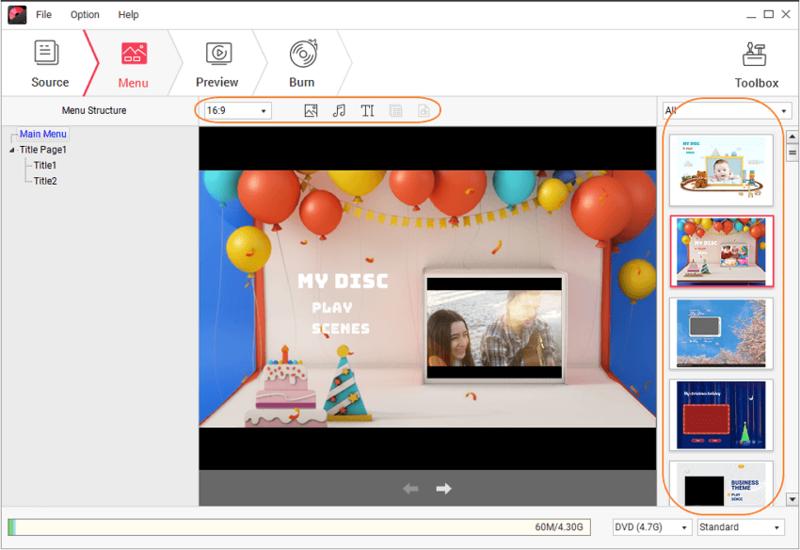 You can directly add your phone videos/photos/audio files and burn to DVD, Blu-ray disc, Data disc, DVD folder and ISO image files with simple steps. There are a variety of dynamic and static templates available to match your video theme. Creating new chapters, adding background image or music, and other template customization options are also available. It also has a built-in video editor for you to personalize phone videos before burning. · Add and burn phone videos, photos, audio files directly to DVD/Blu-ray Disc/Data Disc/ISO/DVD Folder. 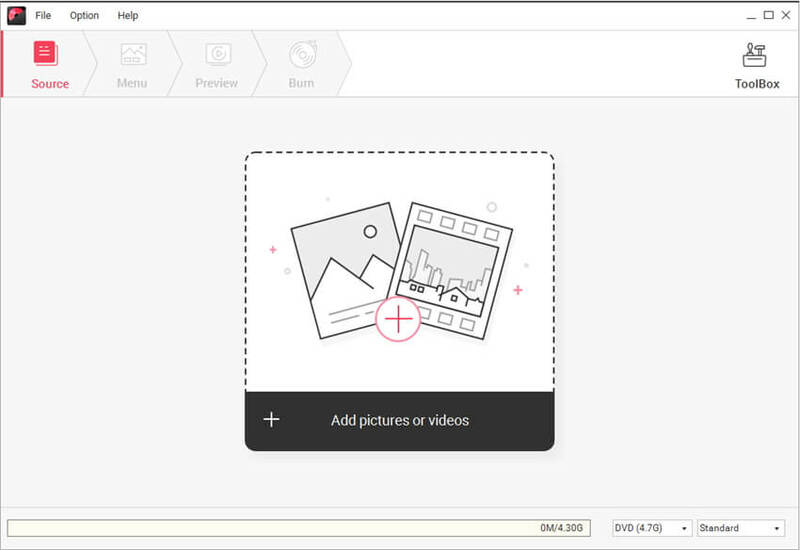 · Built-in editor to personalize phone videos by Trim, Crop, Add subtitles, Apply effects, etc. · Offer 100+ free static and dynamic menu templates from Sport, Movie to Family life for phone video to DVD menu. · Convert iPhone/Android videos to DVD with super fast burning speed and high-quality output. · Additional tools like burning Data Disc, ISO to DVD, creating photo slideshow, converting DVD to video, copying DVD, etc. Step 1 Open phone videos to DVD converter on Windows. Download, install and open Wondershare DVD Creator on your Windows PC. A screen like below will appear, from where choose the option Create a DVD Video Disc. Step 2 Import videos from phone directly. Connect your phone to your computer via a USB cable. Click the + icon in the center of the interface. A file explorer will appear to allow you to browse and add phone videos from your Android Phone or iPhone directly. Or you can simply drag and drop phone videos to the interface. Or you can add videos from your phone by clicking the File button on the left-top corner. Then choose Add from phone... option to open the Import from Device interface, where you can see all your videos and photos on your phone. Choose what you want to burn and click Add button to import them to burn to DVD. Step 3 Edit phone videos if you want. Once videos are added, they will appear as thumbnails on the left pane. 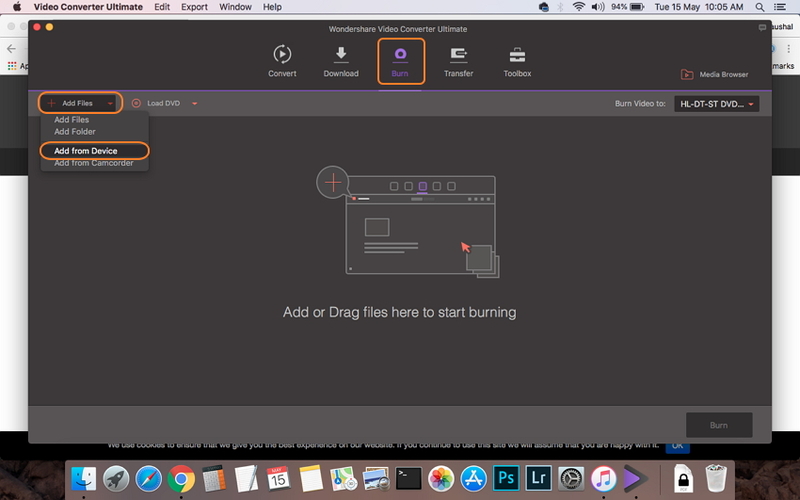 To customize your phone videos before burning, click the pencil-like icon to open Video Editor window where allows you to crop and trim videos, apply effects, add watermarks and more. Do the required editing and click OK to save the changes. Step 4 Choose DVD menu templates for Android phones videos to DVD. On the Menu tab, a list of template designs are available to choose from. The download icon further allows downloading more designs if you need. 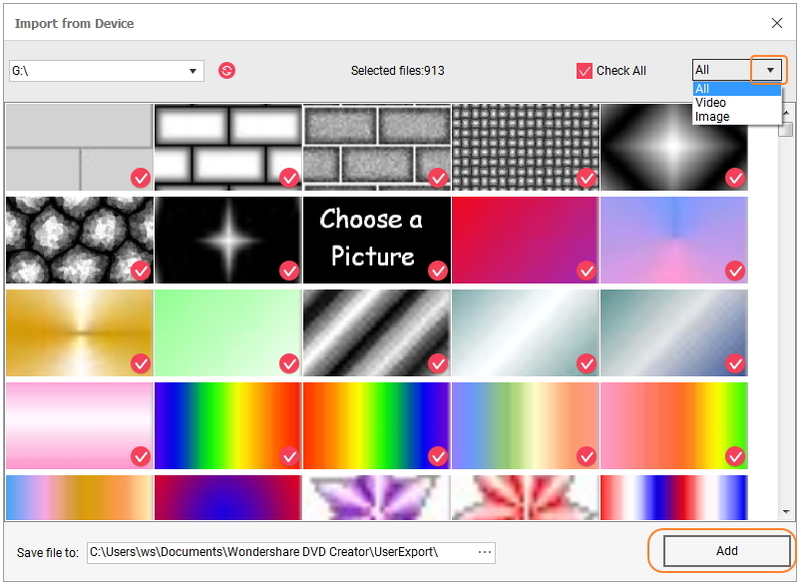 Select a template of your choice and you can also customize them by adding background music or image, creating new chapters, setting aspect ratio and others. The icons for customization are present at the top of the interface. Step 5 Preview and convert Android phone videos to DVD on Windows. Check the video creation before burning by click the Preview tab. If anything needs to be changed go to the Source tab or Menu tab and make adjustments. Click the Burn tab and a Settings window will open. 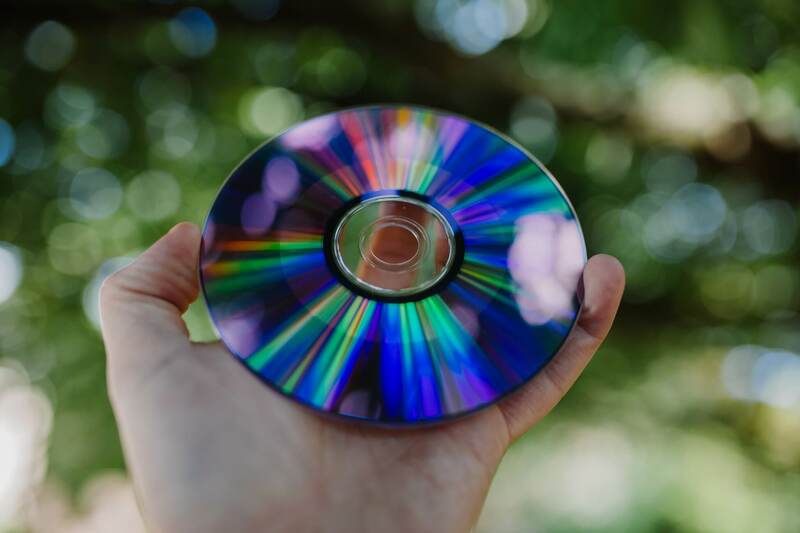 Insert a blank disc into your computer and select the Burn to disc option. Enter Disc label and choose other parameters. Finally, hit the Burn button to start burning phone videos to DVD. 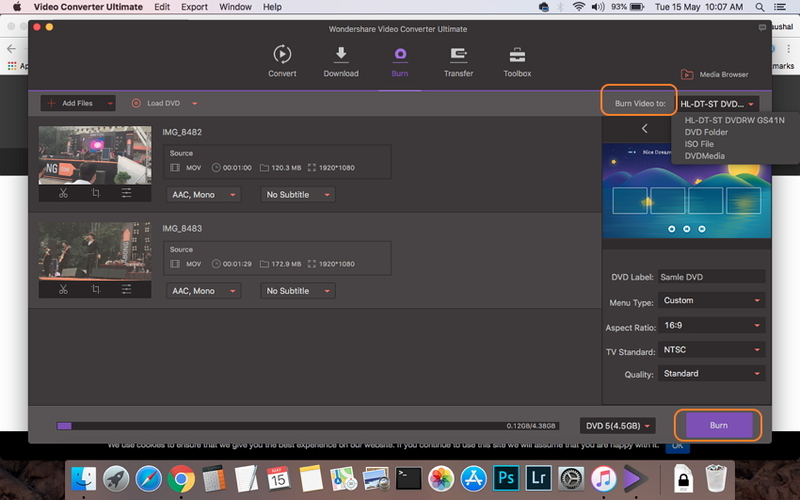 If you are iPhone user, just click How to Burn iPhone Videos to DVD Directly for Win/Mac >> to know the detailed steps on burning iPhone videos/photos to DVD. If you want to burn your phone videos to DVD on Mac without any effort manner, then Wondershare Video Converter Ultimate is the best choice. This software not only allows burning your videos to a disc but also facilitates video transfer from your phone to your PC/Mac. It can compatible with all latest versions of Windows and Mac OS and results in excellent quality DVD and Blu-ray disc creation. If needed, you can also burn your files to DVD folder or ISO images. 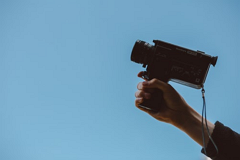 A complete video editor allows cropping, trimming, cutting, and perform other functions. You can choose from free DVD menu templates that match your video theme. There is also an option to add background image or music that adds to the overall looks of your DVD. Additionally, Wondershare Video Converter Ultimate also supports video conversion, download, and recording. Step 1 Connect phone to Mac and add phone videos to DVD burner. Download, install and launch Wondershare Video Converter Ultimate for Mac on your Mac. Using a USB cable, connect your phone to your system. On the Burn tab of the software interface, open drop down menu at +Add Files. From the available options, choose Add from Device. A new window with all your videos on connected phone will appear. Select the desired videos and click Add To List. Step 2 Customize videos and choose DVD theme. The phone videos that are added to the software interface can be edited before burning by clicking the icons under the thumbnail. The right-side pane shows the DVD menu templates. Select the theme of your choice and add background image or music by hitting edit icon on the top-right corner. Give a desired name to the disc at DVD Label menu. Select values for Menu Type, Aspect Ratio, TV Standard, and Quality. Step 4 Convert phone video to DVD on Mac. Open drop-down menu at Burn Video to: menu and select the location where you want to burn the added phone videos. Finally, click the Burn button to start burning your Android or iPhone videos to DVD. There are free solutions to burn your phone videos to DVD as well. Though the freeware does not contain advanced features, they cater to your basic DVD burning needs. One such free phone videos to DVD app is WinX DVD Author. This is small and practical software that supports Window OS and allows burning all popular videos formats to DVD including MOV, MP4, MPEG, MOD, VOB, MKV, and others. Using the program, you can create a title as well as a chapter menu and also add background music. The software has the option to trim unwanted video parts and also add subtitles. Using the built-in YouTube downloader you can download your choice of video and burn it to a DVD. So transfer your phone videos to your PC and start burning them to a DVD using WinX DVD Author. Before you follow the steps below, connect your phone to your PC and transfer the videos that you want to burn to your system. Step 1: Download, install and open WinX DVD Author on your PC. Select Video DVD Author option. 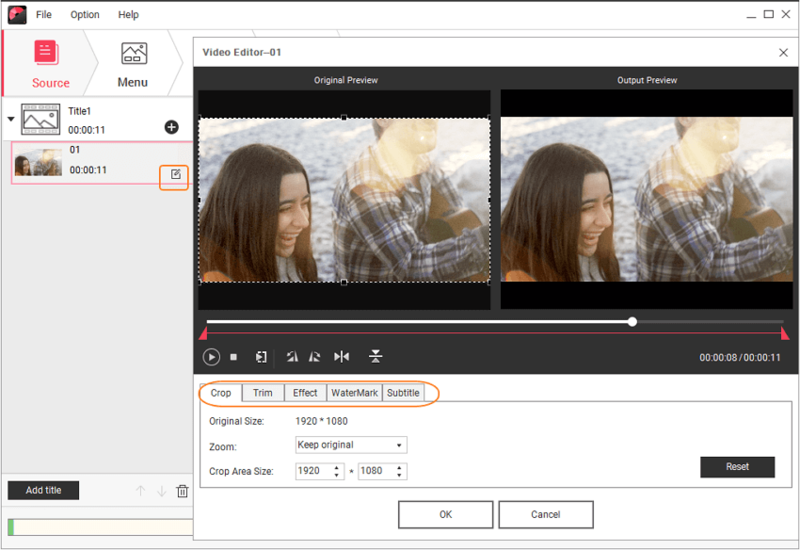 Step 2: Click + button to add phone videos present on your PC. Multiple videos can be added. The right pane will show the added videos. Right click the video to move up and down, add subtitle, and perform other functions. Step 3: Click the next button that will open the DVD menu setup screen. Here select the background music or image, title menu, and chapter menu. Step 4: Next choose the output folder, output DVD format, writable driver and other details. Finally, click Start to burn your phone videos to DVD.